It is not surprising that New Zealand, being a British settlement, was introduced to the world of horse racing soon after it was settled by colonists. Thoroughbred racing was, at the time, a huge pastime in Britain, and so the new settlers of the two small islands of New Zealand readily accepted a small reminder of the life that they had left behind in the way of horse racing. 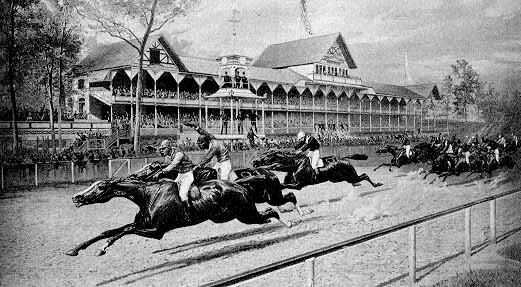 The first races were held in the mid 1800’s with the first thoroughbred horse arriving early in 1840. 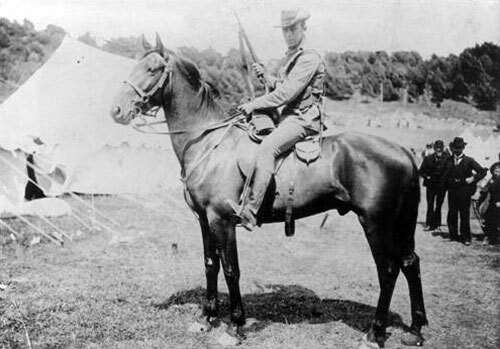 The army with their army horses, who were not thoroughbreds, held the first horse races in New Zealand. The tough army horses were bred to carry heavy loads over large distances, and so were not particularly fast. This did not stop the garrisons from organising race days between themselves, many of which attracted large crowds of civilians as well. The first recognised thoroughbred horse to be brought over to New Zealand was Figaro, who landed in Wellington in 1840. He was bred in New South Wales and become one of the founding stallions of the New Zealand thoroughbred racing stock. He sired the first New Zealand born thoroughbred out of an English mare in 1842. The foal, Barbarie II became a good racehorse in his own right winning a number of races in Wellington. During the late and mid 1800’s the majority of the thoroughbred-racing world moved to Nelson and Canterbury. This shift resulted in new stud farms opening up in the temperate climate and rolling pastures, which are ideal for rearing thoroughbred horses. Jockey and racing clubs were set up in various parts of the country helping to set down rules and regulations for the quickly growing sport on both islands. More and more thoroughbred horses were being bred by New Zealand studs, and also being bought by Australian owners and trainers. New Zealand thoroughbreds were by now becoming well known for their speed and tenacity. The need for a national club was finally realised in 1880, with the New Zealand Jockey Club being set up and taking dominance over all of the smaller, fragmented clubs. This was a direct result of the realisation that a national club would result in the steady income from a totalizer and subsequently a betting public. New Zealand citizens loved to go to the races, and place wagers on their favourite horses. Once the New Zealand Jockey Club had been set up, breeding as well as betting at totalizers and bookies began to become to huge business that we recognise in New Zealand today. Racing during both world wars as well as the depression dropped dramatically due to that fact that many men had to go off to war, and there was very little money left over for frivolities such as betting on horses. Many of the racetracks were taken over by the military such as Wellington. Some racing did continue however, with a few notable equine heroes such as Phar Lap emerging. These heroes became responsible for lifting the spirits of the entire country, who turned out in droves and sat close by their radios to follow their careers. After the terrible years of the wars and the depression, the lull in racing lifted, and the industry again became one of the biggest in the country. Today New Zealand racehorses are recognised around the world, and national races are followed by most of the country. These days you can find a host of reputable horse racing betting sites where you can place a bet from the comfort of your home on your desktop of mobile device. What Are Cricket Novelty Bets? 3 Cricket Formats – In What Way Do They Affect Your Betting?